Built by the same development group that created the Kinect-controlled Board of Awesomeness, the research division of Chaotic Moon Studios has announced the Board of Imagination. While wearing a wireless neuro-headset designed by Emotiv, the rider on the electric skateboard simply visualizes a point off in the distance and think about how fast they want to travel in order to reach that point. The signal from the brain is “translated” by the headset and communicated to a Samsung, Windows 8-enabled tablet via a USB connector. The software on the tablet interacts with the all-terrain skateboard and sends the rider flying down the road up to 32 miles per hour. In order to stop the board, the rider thinks about the upcoming point of arrival. Identical to the design of the Kinect-powered skateboard, the board is powered by a 800-watt electric motor that can run up to 10 miles at full speed before requiring a recharge. However, the rider has to continue to focus on directing the skateboard and cannot allow the mind to wander during a trip. In addition, the headset has to be adjusted on the head so all contacts are positioned correctly; something that may become difficult to control under windy conditions. It’s unlikely that the electronics would be safe during inclement weather conditions such as heavy rain or snow without some form of all-weather protection. 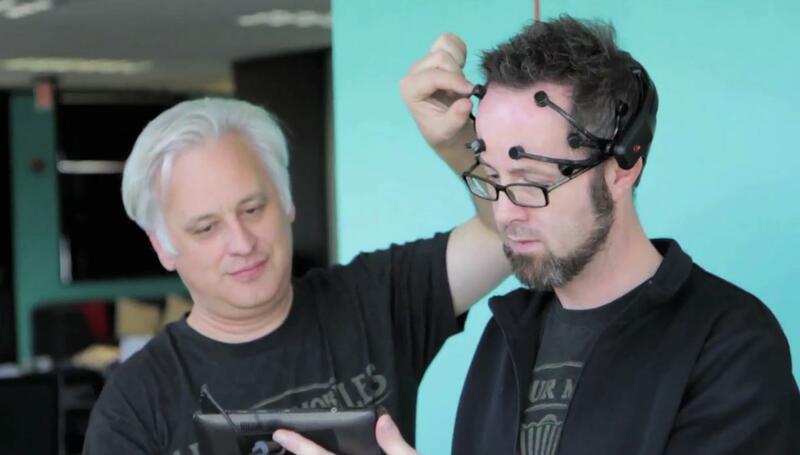 According to an interview with the general manager of Chaotic Moon Labs on CNET, the board took approximately 48 hours to create and another two days to correctly adjust the board to a specific person’s brain waves. 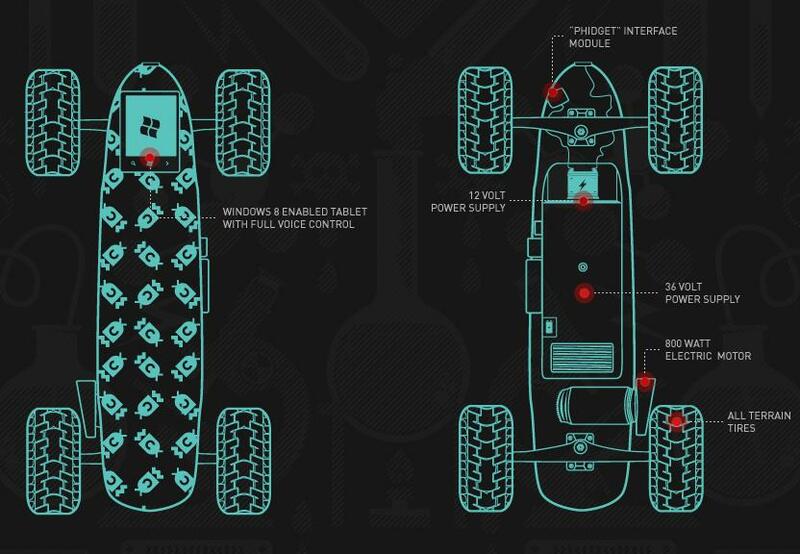 While the company has no plans to sell the Board of Imagination or the Board of Awesomeness, they hope to release all blueprints for the design and list of the materials used so anyone can build their own mind-controlled, electric skateboard.